Child of the Parisian stage, Kyssi Wète has shaped his music, mixing rhythms and melodies from various backgrounds: reggae, soul, blues and rumba. 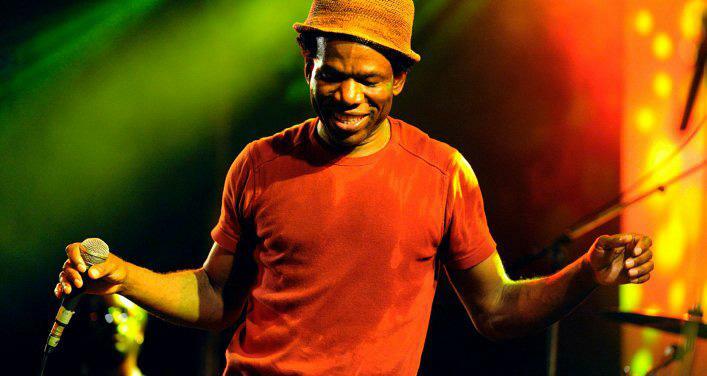 Author, composer and performer, his musical world is in an imaginary place between France, Congo and Jamaica. Throughout the songs, classical guitar, bass and drums intermarry with percussion, brass and choir. His repertoire goes from rhythms tracks to intimate tracks with subtle arrangements. The result is an original and endearing musical fusion. A friendly concept that reveals its full scope on stage, where Kyssi Wète gives generously energy and joie de vivre. While demonstrating simplicity, his lyrics give birth to a hot and luminous poetry. His voice, at once harsh and soft, gives life to words that celebrate diversity and explores the close ties that unite cultures. In 2010, the singer released his first album “Ce que tu me donnes”. A heartfelt album that unfolds the authentic personality of the young man.